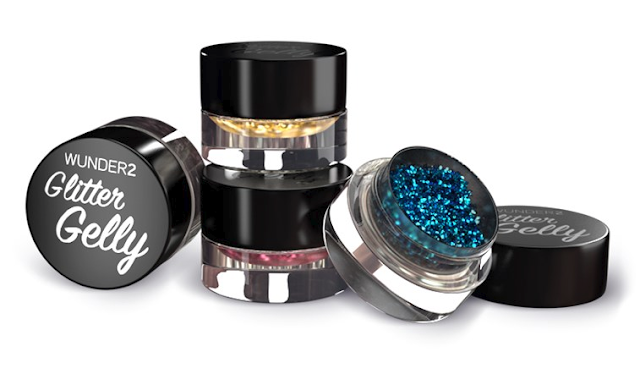 Create dazzling eyes with the WUNDER2 Glitter Gelly. This nourishing gel formula provides precise and effortless shimmery eye looks without the hassle. Available in five shades, the Glitter Gelly can be easily applied over existing makeup looks to create a glossy lid with actual glitter for an intensely hypnotic effect. Wear alone or pair with your eyeshadow for a dramatic effect. Simply apply a small amount using fingertips or brush the desired area, adding additional layers for a more intense look. Price: $15.95 | Available in 5 shades Diamond, Amethyst, 24K Karat, Aquamarine, and Citrine.